Sometimes, we need to visit a web site at a specific time. This may be an online auction that. Although you can set email notifications for any this kind of deal notifications, you can not open your email client all time.If you do not want to miss an auction or online event, you can set your browser to open that website on scheduled time. This can also be used as a reminder when you need to do some online task. 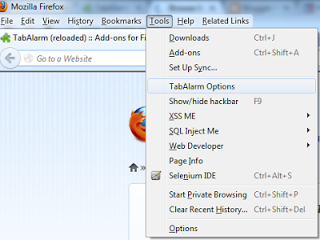 TabAlarm is a nice Firefox add-on that offers an option for users to schedule the website to open in a browser tab at scheduled time. Install it in your browser. 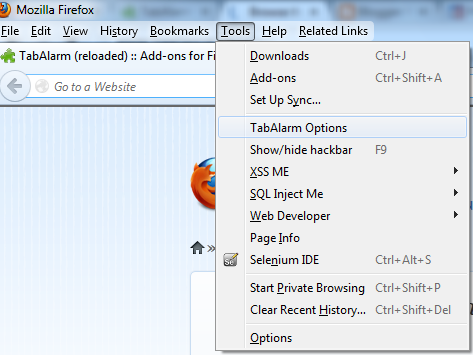 After that click on Tools and then TabAlarm options. Here you can set the date and time when you want to schedule the tab. 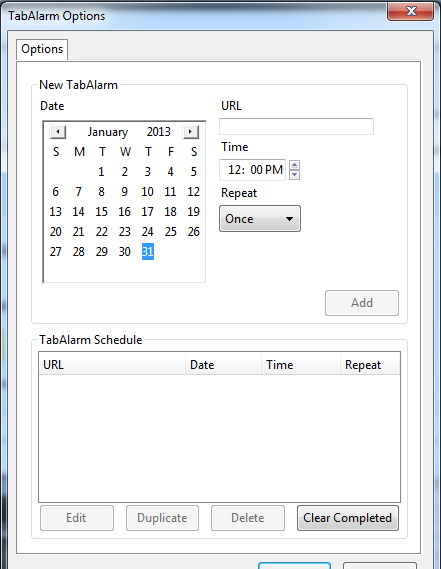 At the bottom of the dialog, it will also show all scheduled URL in the TabAlarm. This plugin is for those who use the Internet regularly and follow many auctions and online events. Try this and share your views with us. Comment below in the case of any problem.